Many women entrepreneurs in Africa are inspired to start their businesses because of a personal passion, and in the case of Kenyan entrepreneur Shikha Vincent, her jewellery design company SHIKHAZURI, was motivated by just such passions. Her fascination with ethnic and tribal jewellery from across the African continent, combined with her desire to support wildlife conservation in her country, resulted in the creation of a jewellery brand with a strong backstory and purpose which is resonating with customers at home and abroad. LoA found out more about this fascinating jewellery business and its founder’s vision for the future. 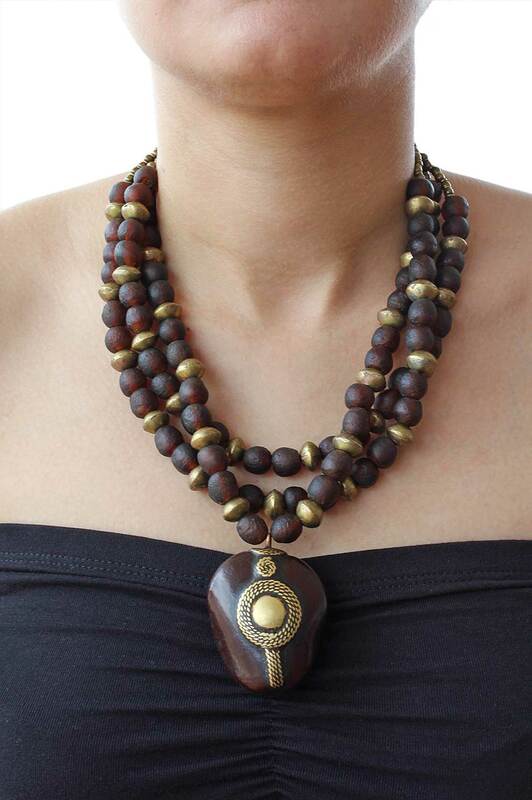 SHIKHAZURI creates culturally inspired jewellery for globally minded women. Each piece from the one-of-a-kind range is handmade using antique and contemporary beads, gemstones and rare artefacts personally sourced from around the African continent and beyond. Every item bears a captivating story regarding the origin and symbolism of each ethnographic element and stone. It results in an exotic statement, infused with style, soul and history. The collections from my silver range of jewellery is also inspired by different cultures and their story. "SHIKHAZURI creates culturally inspired jewellery for globally minded women. Each piece from the one-of-a-kind range is handmade using antique and contemporary beads, gemstones and rare artefacts personally sourced from around the African continent and beyond." I wanted to set up a business where I could combine my passions: jewellery design, travel and conservation. I have always loved travelling and learning about different cultures. This also nurtured a fascination for ethnic and tribal jewellery and its significance to the societies from which it originated. Having been born and raised in Kenya and worked in the field of conservation, I am also passionate about African wildlife and raising awareness of the plight that many species are facing due to the poaching crisis. Therefore, I was keen to set up a business that could help support conservation related initiatives by channelling a portion of profits from sales. These strong motivations prompted me to start a company where I could achieve this, and create a life and business on my own terms. Because SHIKHAZURI jewellery is more than just adornment. It is about celebrating art, culture and history by exploring the story behind each component, and its symbolism and significance to the cultures from which it originated. Bringing this to the forefront of my customers’ experience enables them to become a custodian of meaningful jewellery that speaks to their soul. And of course the meticulous level of detail, quality and care that goes into curating and handcrafting each piece means that these collectors pieces can be treasured for generations to come. I also donate 5% of profits from sales to the Mara Lion Project, so purchasing SHIKHAZURI jewellery helps to support wildlife conservation efforts within Kenya. "I wanted to set up a business where I could combine my passions: jewellery design, travel and conservation." I am currently a one-person-team running my business, but I outsource certain tasks to local artisans which enables me to support and bring cash flow into their small businesses. For example, the chain, clasps and logo bead that is attached to each necklace is handmade by a local metalsmith. My current packaging consists of a box made from banana leaf fibre, lined with Maasai shuka fabric, and these are made by a woman who supports her family by making and selling these products. So I consider these individuals to be part of my team. My father is an entrepreneur and I grew up seeing him start up and run his business from infancy to the successful company it is today. With that came witnessing the daily challenges and stresses, so I was acutely aware of the hard work and passion required to make an entrepreneurial venture work. My own professional background is in law, but I spent a few years working on a wildlife and conservation project in Kenya. It was then that I experimented with making African beaded jewellery using materials that I sourced from local markets. The idea was to create a product that I could sell to raise funds to support animal orphans. Although I didn’t know it at the time, the accumulation of those experiences is what led me to start this business venture. My return to the corporate legal world, albeit a successful one, didn’t fire me up. In my spare time, I would make and sell jewellery to raise money for other environmental conservation projects, spanning from Africa to South America. People bought my work, so I knew there was a market for my designs. However, if I wanted to do it full time, I knew I’d need to stop thinking and start doing! I quit my full time job, put a business plan together and started in 2015… and I’ve never looked back. "Since starting this venture, I have never experienced the “Monday morning blues” and I really value the freedom and flexibility to work on my own terms." As well as establishing a strong presence within the local Kenyan market, it is my ambition to take the SHIKHAZURI brand to an international platform and promote an appreciation of African inspired jewellery into Western markets. My strategy is to gain exposure by participating in International Fashion Weeks and approach stores within the European and US markets. The beginnings of this plan is already underway: SHIKHAZURI will be participating in the Up-Coming Designer category at the Kenya Fashion Awards in August 2016, and will also be showcasing an exclusive collection for Africa Fashion Week London this September. The ability to be able to do something that I love, and taking a concept and transform it into a tangible product and business. Since starting this venture, I have never experienced the “Monday morning blues” and I really value the freedom and flexibility to work on my own terms. 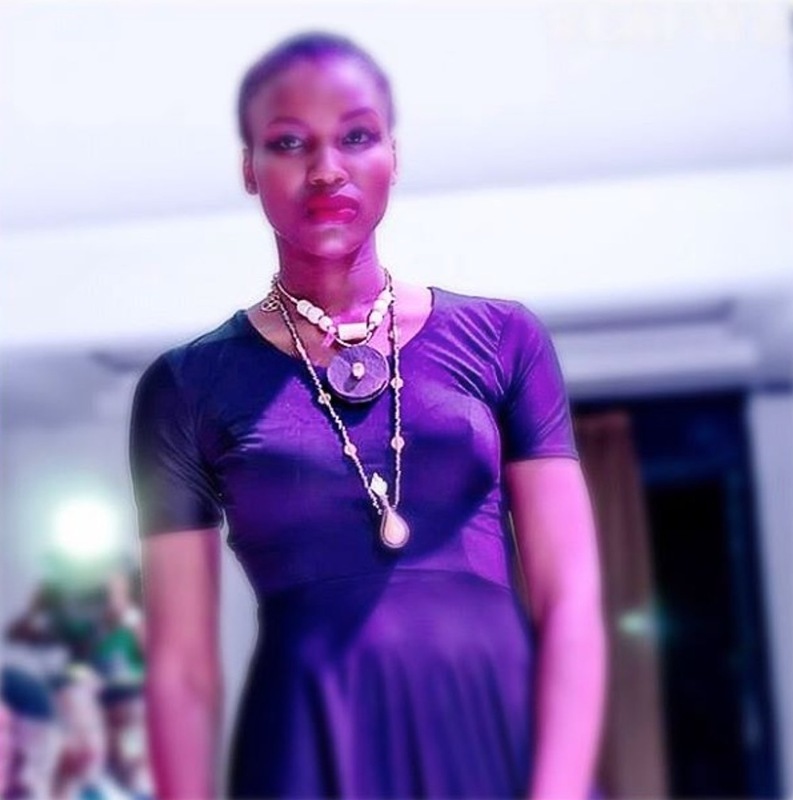 "As well as establishing a strong presence within the local Kenyan market, it is my ambition to take the SHIKHAZURI brand to an international platform and promote an appreciation of African inspired jewellery into Western markets." There will be long days and nights, but if you want it to work, you’ve got to persevere. Find an experienced mentor within your industry who can guide you on your journey. Having the support of friends and family is wonderful, but more often than not they will tell you what you want to hear, and unless they have experience in your industry, they might not be able to give you the frank advice that you need.